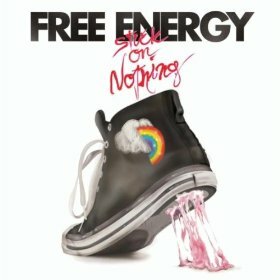 When one of Free Energy's songs randomly comes up on shuffle I immediately smile, turn it up, and try to rate it higher than I already have. That is probably close to the definition of a "feel good hit". These songs stand out from the rest of the classic rock cribbing crowd in part because the band allows the songs room to breathe, preferring to strut rather than sprint. The solos are restrained and administered sparsely. "Dream City" kicks off with a T.Rex groove before down shifting to almost a ballad, even incorporating a little E Street saxophone at the end. I've loved the summer anthems "Hope Child" and "Free Energy" since when I first heard them last year, but the charging "Light Love" and the simple and catchy "Bang Pop" aren't far behind.